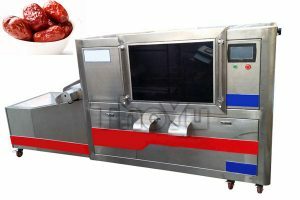 Our plum pitting machine is professional on fruit processing .It can remove fruit nuclear very well and with little plum meat wasting.All the machine made of stainless steel which can use for a long time. 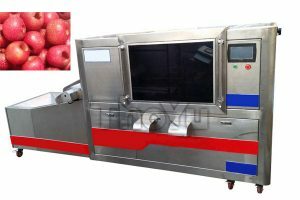 The operation method of plum pitter machine is simple and one person can take care for several sets machine .Our plum pitter machine can be customize according to your fruit size so please do not worry about the fruit size question. Full auto plum pittting machine, access to national patents. 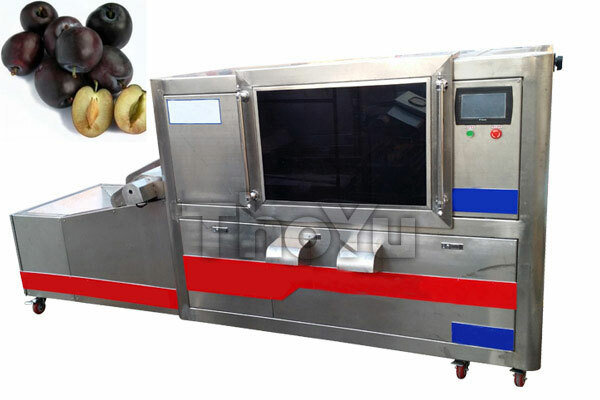 Equipment appearance and frame of plum pitting machine is made of 304 stainless steel.To changed the drawbacks of past plum pitter machine, in the premise of not destroying the beauty of the plum; the precise positioning of the core, to reduce the rate of pulp.Greatly save the production of raw materials and improve production efficiency. The plum pitting machine can be operated easily, and convenient to clean,can be equipped with automatic, make the equipment more easy on operation,accuracy error, equipment cleaning, maintenance and so on. With unique stone separating equipment, ensure that the fruit and kernel perfect automatic separation. The brush on the machine is made of special materials, no hair, no damage plum skin.